Because this game needed to be more challenging. 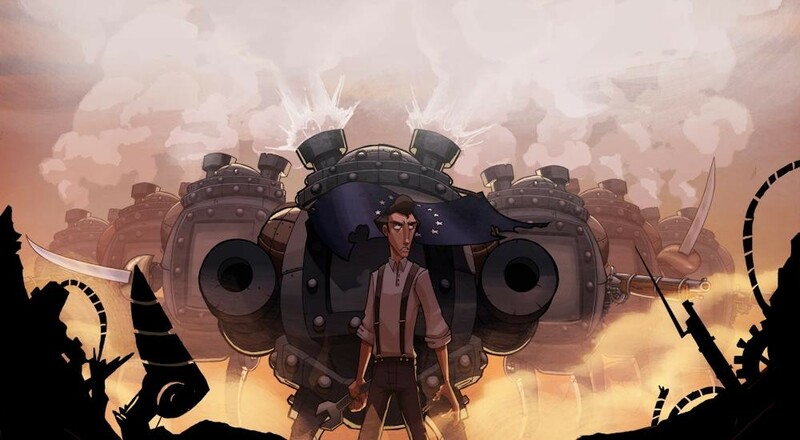 New things have been released for Zachtronics' steampunk strategy game Ironclad Tactics! The free update includes a "new game plus" campaign, deck sharing via URL export, and an increased AP rate in co-op for more exciting battles. Oh, and bug fixes and the like, but that's never as exciting as things with exclamation marks. The alternate history American Civil War steampunk strategy game Ironclad Tactics has been humming right along since its release in September. Our co-op review pretty much said the game was the bee's knees, and it's especially marvelous when you bring a friend along. Just over a month later, a free update adds what that one guy who mastered the game in a single evening said was necessary: higher difficulty. Once you finish the standard campaign, a new game plus mode will become available, cranking up the challenge and allowing you to unlock cards previously only available in multiplayer. Good for completing your card collection, bad for anyone who already thought the game was difficult! In addition to the new mode, Ironclad Tactics also has a button that exports decks as a URL so you can share it with other players. Perfect for collaborating on levels that need the precise balance of infantry and ironclads. A handful of other tweaks include changing the cost of certain units, fixing OS X issues, and squashing a bug in the Odessa, TX puzzle. Ironclad Tactics is currently available for PC, Mac and Linux. It supports two player online co-op. Page created in 0.6276 seconds.